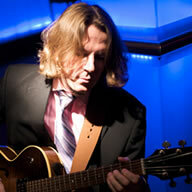 Slava's background includes studies of Composition and guitar performance at St.-Petersburg Jazz Conservatory, Russia. He received his Bachelor Degree in Contemporary Writing and Production from Boston's renowned Berklee College of Music, where he was a scholarship student. He founded the "International String Trio" in 1999 and developed a unique performance concept for the ensemble. In addition to being an accomplished performer he is also a songwriter and producer with several credits under his belt. 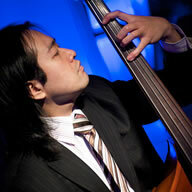 Ippei Ichimaru has been a professional bass player/arranger since 1991 in Australia and America. He does more than 250 performances a year and is one of the most active bass players in Boston. He has had the pleasure of playing with or arranging for many talented international musicians such as Gil Askey (ex-chief arranger of Motown label), Danilo Perez (Grammy Winner), Phil Wilson (Grammy nominee), George Garzone, etc. He is a member of a critically acclaimed Japanese ensemble ensemble "WaFoo"
Ben was raised in England until moving to the USA for his college education at the age of 19. In 1998 he was invited to play at the Nagano 1998 Winter Olympics in Japan as part of an international Suzuki celebration. As a soloist Ben has given recitals in The Purcell Rooms in London's Queen Elizabeth Southbank complex. 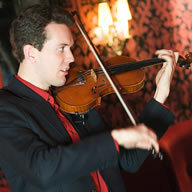 Ben is also an avid jazz violinist and has been experimenting with the style for the last seven years. In 2001 he was invited to play in a master class with jazz trumpeter Randy Brecker as part of the Cheltenham International Jazz festival. Currently Ben is finishing his studies at Berklee College of Music and performs on a regular basis with Boston Philharmonics.